Matthew joined Watsi on February 5th, 2015. Four years ago, Matthew became the 895th member to automatically support a new Watsi patient every month. Since then, 4,182 more people have become monthly donors! Matthew's most recent donation traveled 8,500 miles to support Georgeline, a baby girl from Kenya, to fund spinal surgery. Matthew has funded healthcare for 51 patients in 12 countries. Muoysean is an 18-year-old food seller from Cambodia. She likes to cook and help around the house in her free time. Since she was three years old, Muoysean had an ear infection. This infection caused the tympanic membrane, or the ear drum, in her right ear to perforate. For this reason, Muoysean experiences discharge, tinnitus, and hearing loss. She has recurrent infections which cause irritation and poor hearing. Muoysean traveled to our medical partner's care center to receive treatment. On March 4, she will undergo a myringoplasty procedure in her right ear. During this procedure, surgeons will close the perforation. Our medical partner, Children's Surgical Centre, is requesting $423 to fund this procedure. This covers medications, supplies, and inpatient care. She says, "I hope that after my surgery, my ear will be able to heal and I will regain my hearing." Jane is a baby from Kenya. She is the youngest of three children. Jane has been diagnosed with hydrocephalus, a condition in which excess cerebrospinal fluid accumulates in the brain and increases intracranial pressure. As a result of her condition, Jane has been experiencing irritability and she is at risk of brain damage. Without treatment, Jane will experience severe physical and developmental delays. 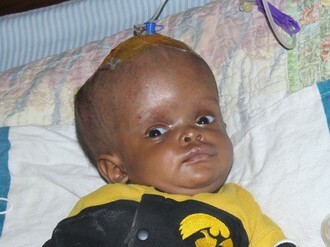 Our medical partner, African Mission Healthcare Foundation, is requesting $685 to cover the cost of surgery for Jane that will treat her hydrocephalus. The procedure is scheduled to take place on November 30 and will drain the excess fluid from Jane's brain. This will reduce intracranial pressure and greatly improve her quality of life. With proper treatment, Jane will hopefully develop into a strong, healthy young girl. “I am glad that God has come in through Watsi,” says Jane’s mother. Miteau is a teenager from Haiti. He lives in Port-au-Prince with his mother. He is a very good student and would like to become a lawyer or teacher. Miteau has a condition called rheumatic heart disease, in which an infection severely damaged one of the valves of his heart, preventing it from adequately circulating blood to his body. This condition leads to fatigue and weakness and would eventually be fatal. Miteau will fly to India to receive treatment. On September 21, he will undergo cardiac surgery. During surgery, his damaged valve will be removed and an artificial valve will be implanted in its place. Miteau's family needs help to fund the costs of surgery prep. The $1,500 bill covers labs, medicines, and checkup and followup appointments. It also supports passport obtainment and the social workers from our medical partner, Haiti Cardiac Alliance, who will accompany his family overseas. He says, "I am very excited about this trip so that I can lead a normal life and stop spending so much time in the hospital!" Kaseleka is a farmer with eight children from Malawi. He stays busy with farming but enjoys chatting with friends in his free time. 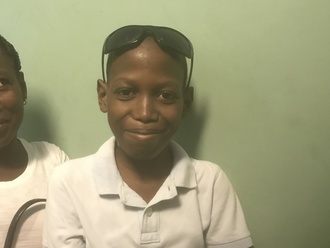 Since May 2018, Kaseleka has been experiencing urinary difficulty and pain. These symptoms are caused by an enlarged prostate, a condition called benign prostatic hyperplasia. He needs to undergo a prostate resection surgery, a procedure in which surgeons will remove part of the enlarged gland. Our medical partner, World Altering Medicine, is requesting $733 to fund Kaseleka's surgery. 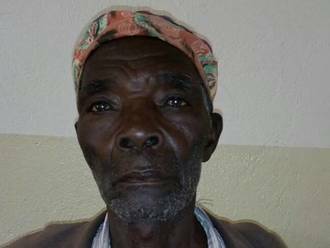 On August 28, he will undergo prostate surgery at Nkhoma Hospital, our medical partner's care center. The requested money pays for supplies, medications, and two weeks of hospital stay. He is very happy that he will be free from pain because of this surgery. He says, "I am expecting to return to my work as well as before." San is a mother of four children from Thailand. She is a housewife and looks after her children, while her husband works as an agriculture day laborer. San has been diagnosed with a muskuloskeletal genetic disorder. She has been advised to undergo a total abdominal hysterectomy, the surgical removal of her uterus and cervix. If left untreated, San's symptoms will continue to worsen and put her at risk for further health complications in the future. Fortunately, San is scheduled to undergo her hysterectomy on August 2. 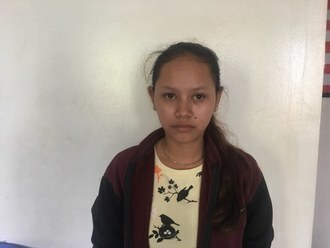 Our medical partner, Burma Children Medical Fund, is requesting $1,500 to cover the total cost of her procedure and care. Elizabeth is a cosmetics vendor from Kenya. She separated with her husband a few years ago. She lives in a rental house in Nairobi. Elizabeth has been diagnosed with breast cancer. Without treatment, the cancer may spread to other organs. A mastectomy, a surgery to remove breast tissue, has been suggested to rid her body of breast cancer and to prevent the cancer from metastasizing. Our medical partner, African Mission Healthcare Foundation, is requesting $816 to cover the cost of a mastectomy for Elizabeth. The procedure is scheduled to take place on June 27. After treatment, Elizabeth will hopefully return to a cancer-free life. Elizabeth says, “My hope and prayer is to fight off this cancer and lead a healthy life." Seketsani is farmer from Malawi. He lives with his wife, and together with their five grown children, they run a small farm. Due to his illness, Seketsani can no longer farm, so he spends his days fetching wood for the family. In his free time, he likes to go to church and worship with his family. Since May 2018, Seketsani has been experiencing pain and urinary difficulty. These symptoms are caused by an enlarged prostate, a condition called benign prostatic hyperplasia. He needs to undergo a prostate resection surgery, a procedure in which surgeons will remove part of the enlarged gland. Our medical partner, World Altering Medicine, is requesting $733 to fund Seketsani's surgery. 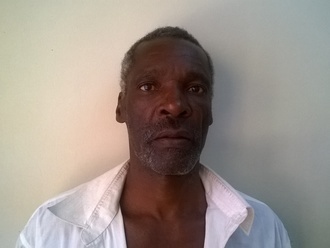 On June 5, he will undergo prostate surgery at Nkhoma Hospital, our medical partner's care center. The requested money pays for supplies, medications, and two weeks of hospital stay. Seketsani was thrilled to find out his surgery would be funded, and he is eager to get back to working his land and again enjoying his life. He says, "I am so happy to get this surgery and I thank you!" Joseph is a toddler from Haiti. He lives in a neighborhood of Port-au-Prince with his parents and older sisters. He is a friendly and outgoing child and likes drawing and music. Joseph has a cardiac condition called patent ductus arteriosus. A hole exists between two major blood vessels near the heart, and blood leaks through this hole without first passing through the lungs to obtain oxygen. This leaves him sick and short of breath. 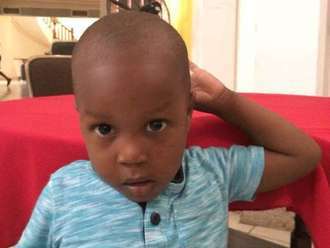 Joseph will fly to Cayman Islands to receive treatment. On April 11, he will undergo cardiac surgery, during which surgeons will use a catheter to insert a device into the hole, sealing it off. Another organization, Have a Heart Cayman, is contributing $15,000 to pay for surgery. Joseph's family also needs help to fund the costs of surgery prep. The $1,500 bill covers labs, medicines, and checkup and followup appointments. It also supports passport obtainment and the social workers from our medical partner, Haiti Cardiac Alliance, who will accompany Joseph's family overseas. His mother says, "Our family would like to say thank you to everyone who is helping Joseph become healthy!"